A New Fat Burning Revolution Has Begun. The Fat Burning Stack leads the way, including two powerful advanced fat burning supplements to maximize fat loss in the shortest amount of time possible. NEW! Now comes with free beginner and advanced workout plans & supplement protocol guide! This stack includes: (1) bottle Torrid FX and (1) bottle Satiated. Weight Loss Never Felt So Good! 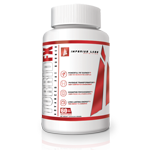 The Fat Burning stack combines the effect power of both Torrid FX and Satiated! Cover all four mechanisms of fat burning for ultra-fast weight loss! For faster fat loss, you need to attack fat through 4 mechanisms: appetite, stress, thermogenesis, and hormone release. 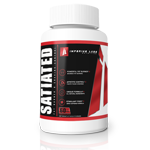 Satiated controls mood elevation and appetite control, but these are only 2 of 4 mechanisms through which fat accumulation occurs. To cover all 4, we recommend pairing Satiated with Torrid. Torrid is a fat burning supplement designed to increase thermogenesis and control your thyroid from releasing too much detrimental hormones, such as cortisol, into your body! 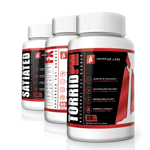 Torrid and Satiated were designed to be taken together to cover all 4 fat prevention mechanisms and maximize fat loss. Although each product works well as a stand alone product, those serious about fat loss should try our duo fat burners. Suggested Use: For best results, take one capsule of both Torrid FX and Satiated in the morning on an empty stomach and one capsule of each 4-6 hours later on an empty stomach. Wait 45-60 minutes after a meal prior to taking products. For maximal results. If sensitive to caffeine, take only one pill daily of each, at least 5 hours prior to sleep. Bonus Workout Programs & Supplement Protocols! Ultimately supplements are designed to improve your physique. Why not improve your physique even further through the use of our recommended workout programs? Included with your order today you will find FREE Beginner’s and Advanced Workout Plans to follow while taking our supplements! 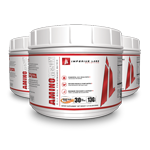 You will also receive a protocol for recommended use of all our supplements. We know you will find great success with our powerful products, workout plans, and supplement guidance wrapped all in one! 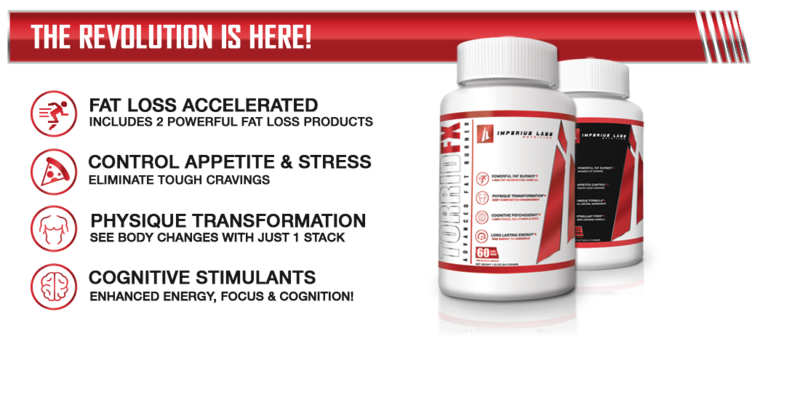 Take your fat loss into overdrive with our all NEW Advanced Fat Burning Stack! 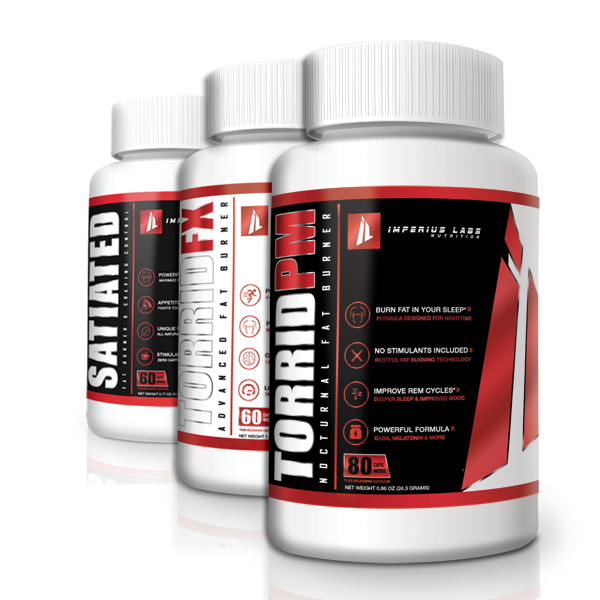 Now featuring Torrid FX, Satiated, and Torrid PM turning you into a 24/7 fat burning machine. 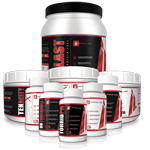 If your serious about fat loss you must try our quad-technology Advanced Fat Burning Stack – now on sale! 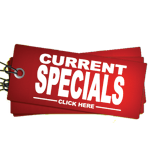 Sign up for a discount on your next order and receive regular updates on awesome articles and fitness information. We hate spam and would never wish that upon anyone. I tried Torrid as a standalone product for about 3 months with great results. The Fat Burner Stack went on sale and I tried it. Boy does having BOTH make a difference in fat loss. If your goal is dropping 5-10% bodybfat before summer, look no further folks! 5 stars works great! I really did feel like I had more energy and less appetite while taking this stack. Best ever. I was hesitant before ordering my first shipment but am I glad I did. I changed nothing with my diet and already lost 15lbs. All my friends are asking me what I’m doing!